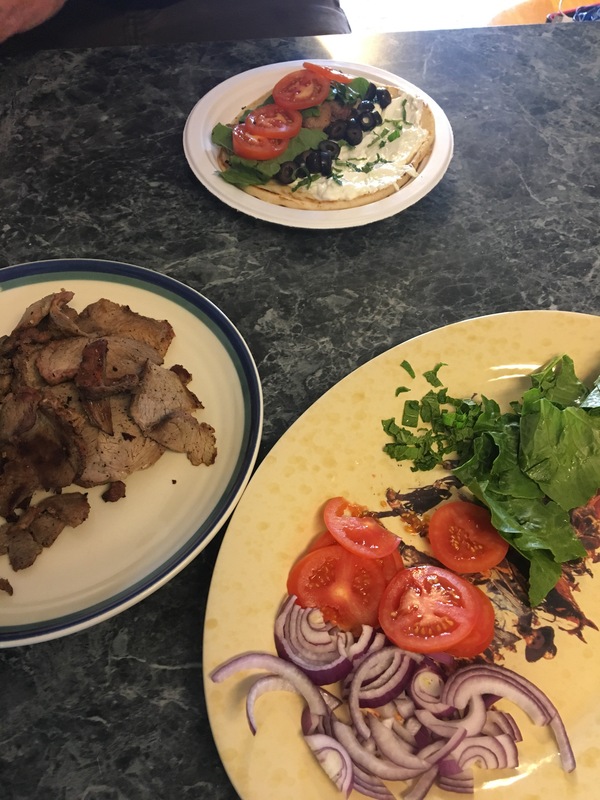 Lamb Gyros! My New go to Meal! We have been buying a lamb at our local 4H sale for quite a few years. If you haven’t had lamb, you are missing out. If you had lamb and didn’t enjoy it, the chef or restaurant had no idea how to cook it properly. Lamb is absolutely delicious. The other day my cowboy cooked up a lamb roast on the traeger. It was delicious. The next day we were going to be heading to town and would be in and out from the ranch. I knew we would not have a chance to eat up the leftovers. I remembered the Gyros I had eaten in New York at the Sheep and Wool festival. I sliced the meat very thinly and froze it in baggies. That way each biggie was enough for Gyros for our family of four. Today I grabbed the rest of the ingredients from the store and made our meal. They were everything I remembered. The taztziki sauce was simply delicious. Start with a lamb roast. Generously sprinkle with salt and pepper. Nothing fancy. Place on a rack in a roasting pan. Cook on your traeger or in the oven until done to your liking. Serve with mashed potatoes, green beans, and mint jelly. The next day slice the meat very thinly. In a pan or griddle sauté the sliced lamb with a little olive oil. Sprinkle with salt and pepper. I also add a little garlic powder. 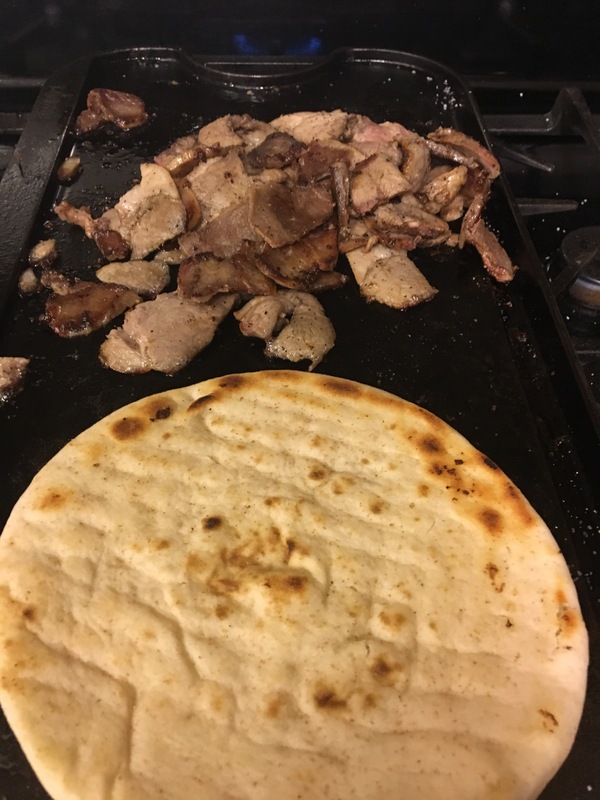 In another pan or at the end of the griddle heat up one piece of pita bread turn it occasionally to keep it from burning. 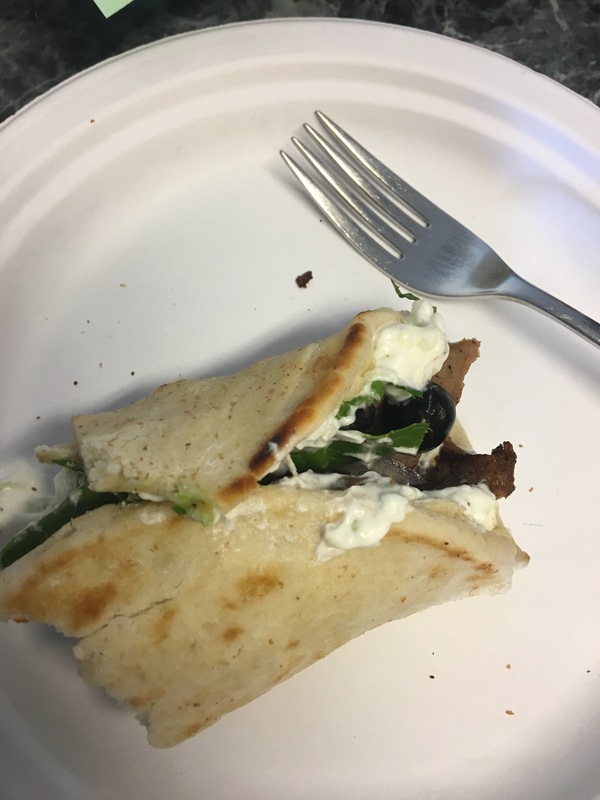 When all is cooked and warm build your pita. Add a good amount of the sauce to the pita, then pile with meat and your favorite fixings. 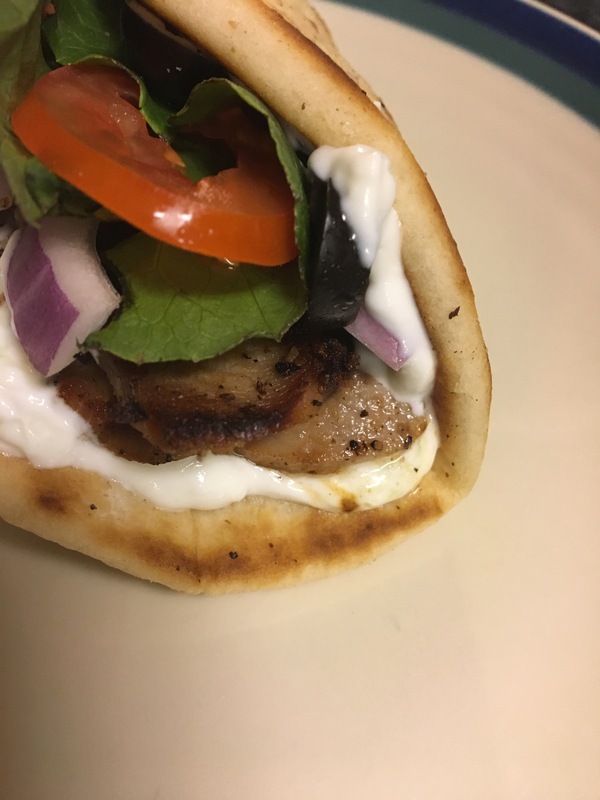 Sliced olives, lettuce, tomato, sliced red onion, oregano, mint, and the sauce all combine to make a great gyro.